Join our extended servicing scheme and our service team will be on-call even outside normal opening hours. Choose AB Inventech A/S and get a highly-experienced machine manufacturer and a first-rate service team. We provide fast and efficient servicing at competitive prices. Join our extended servicing scheme and our service team will be on-call even outside normal opening hours. Sign a service agreement and we will keep your machinery in optimal condition - no matter where in the world you are. Very few companies earn money when their production equipment has stopped running. Consequently, AB Inventech A/S has established an extended servicing scheme for our customers. The extended servicing scheme means you will get fast and efficient assistance if your equipment fails - even outside normal working hours. We will send our highly-professional service team and an experienced machinery manufacturer whenever you need them. Time is money. So you need to able to minimise or avoid costly machinery failure in production. With an AB Inventech A/S service agreement you know that your production equipment is always well-maintained and in excellent working order. Our service team will monitor your machinery and suggest optimisations, if necessary. At the same time, you save time and resources because we source spare parts through our well-established and extensive network of suppliers. 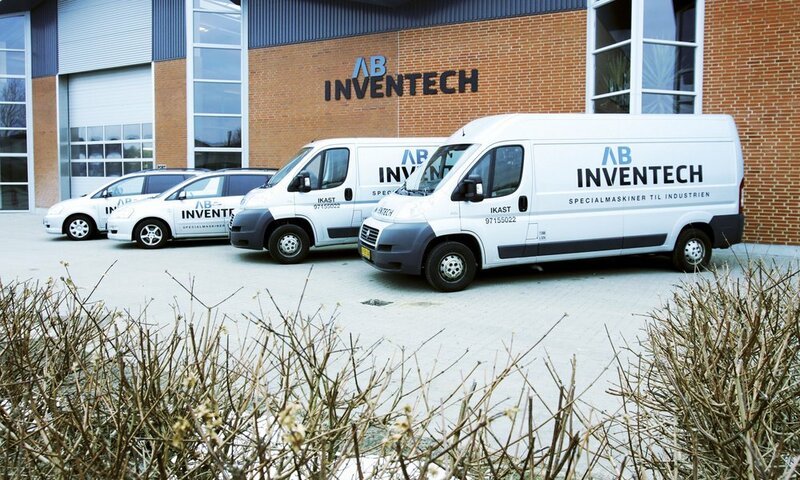 AB Inventech A/S provides servicing and maintenance all over the world. Our Service Department can deal with minor and major repairs on large equipment plants all over the world. Our Service Hotline is manned all year round, every day of the week, 07:00 - 23:00 - so we provide fast assistance if your equipment fails. You can also sign a service agreement on equipment and machinery which means our service team will inspect your equipment and machinery at regular fixed intervals, ensuring optimal operation and preventing equipment failure. This ensures optimum operating costs, maximum uptime and reduces the number of service visits.